Adventure- the kids and I, we thrive on adventure. Even before becoming a single mom, I often adventured alone with my crew- but only for day trips. Later this summer I’ll take my 6 on our first family vacation as a single mom. Traveling with children, even in the best circumstances, can be overwhelming. Especially when facing a very long drive, a toddler who dislikes his carseat and a preschooler needing frequent sudden potty trips. Add to that getting everything packed for 7 people, loading up, getting there, making plans, keeping up with all six, making sure everyone is happy and having fun… all the responsibility. If I’m not careful its easy to get nervous! But, while I do have all the responsibility, I also get all the FUN! I’m excited to show my children that we can do this. They are going to have the best time…and I’m pretty confident I will too. Time to forget our troubles, and just concentrate on the most important thing in life- family. I’ve found two things most important when it comes to adventuring with my crew. Ensure that everyone is well rested. I’ve found that tired kids do not travel well, they become whiny and mean. As much as possible, I protect a decent bedtime while on vacation. Planning just a few late bedtime nights for a special treat. I pack sound machines to ensure that the children sleep well even if our vacation destination is noisy. When possible we also come back to the room during the worst heat of the day to relax, read, or watch a movie to recharge, especially on those evenings bedtime will be late. Nothing is worse than the baby falling asleep 30 minutes before lunch time on a long drive. The other children get hungry and you are faced with two choices. Wake the baby early to get lunch and risk his grumpiness later, or make the kids wait an indefinite amount of time before stopping for lunch… which risks their grumpiness! These days, I make sure to pack snacks and drinks for the ride so the baby may sleep during those ill-timed naps, while the older children eat a healthy snack to tide them over. Honey Bunches of Oats Breakfast Biscuits are the perfect snack to pack for travel and vacation. What doesn’t get eaten in the car is a great quick breakfast to grab on the way out the door to see the local sights. 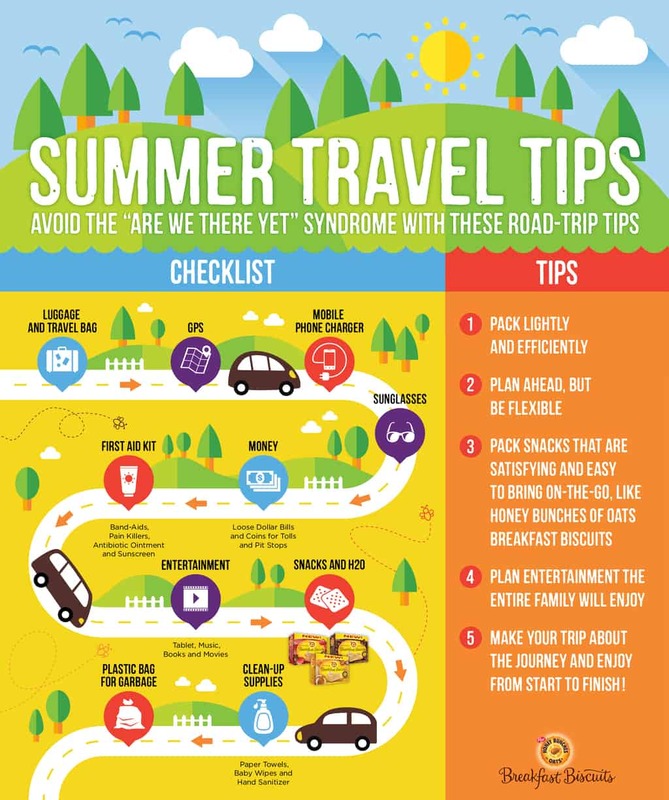 Here are some more great travel tips courtesy of Honey Bunches of Oats! How do you avoid meltdowns when vacationing with children? I avoid taking long trips with my boys because they definitely have meltdowns at their current ages. These are some great tips that will help cut down the meltdowns though. Those are great tips for anyone who travels, especially adults! lol I get more cranky than my kids when I haven't eaten or I'm tired. Those breakfast biscuits looks really good! we just took a 12 hour road trip. 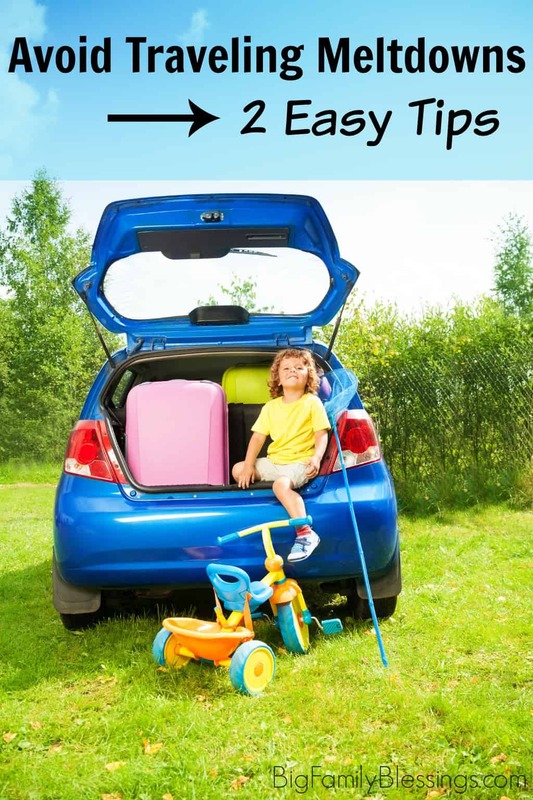 I must agree those two tips are so important for a successful road trip with family. I agree with all of the above information you have mentioned. When traveling with kids is super important to make sure that they are feed and well rested to keep them from becoming cranky or frustrated. Baby? These are good tips for me! I love easy snacks and may have to look for these for an upcoming trip. We love the breakfast biscuits, and they're great to keep in my purse for when we're running all over town or taking a weekend drive.